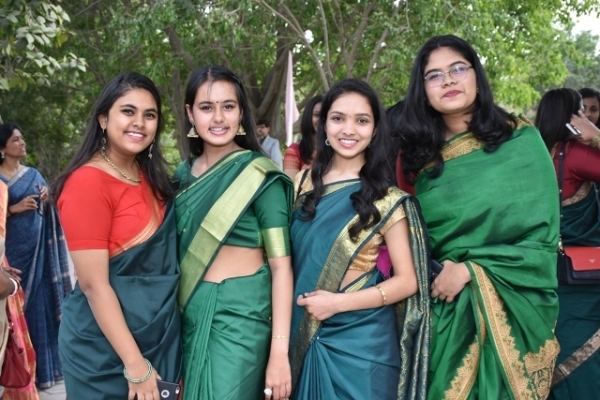 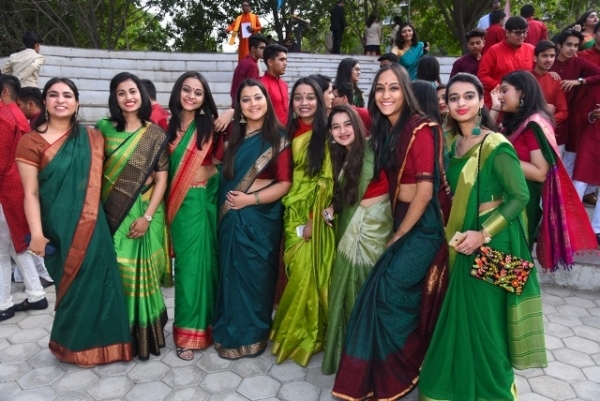 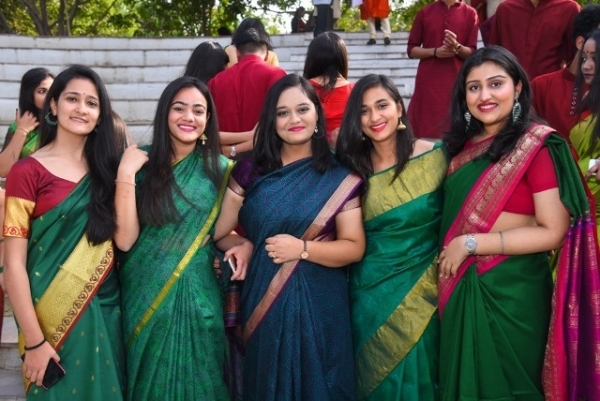 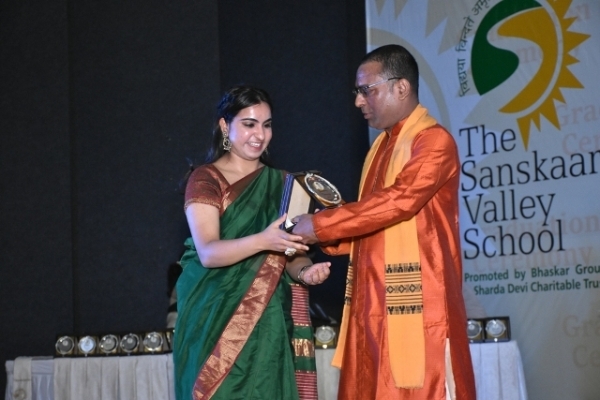 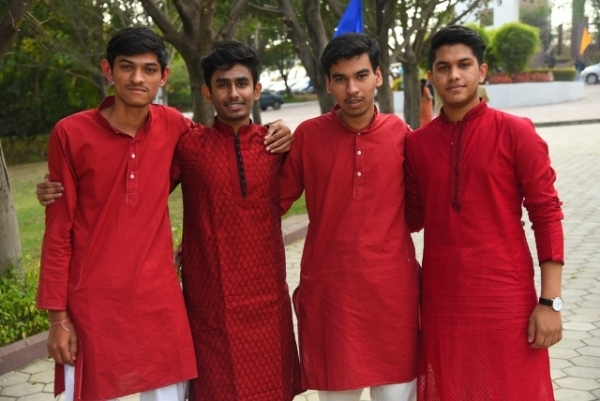 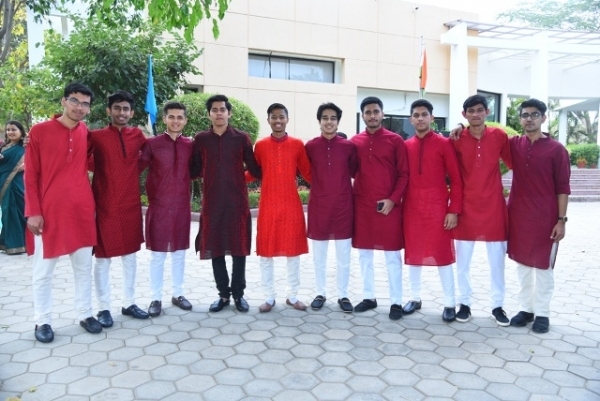 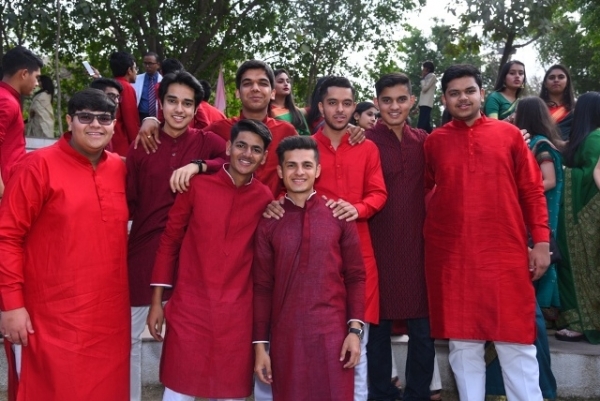 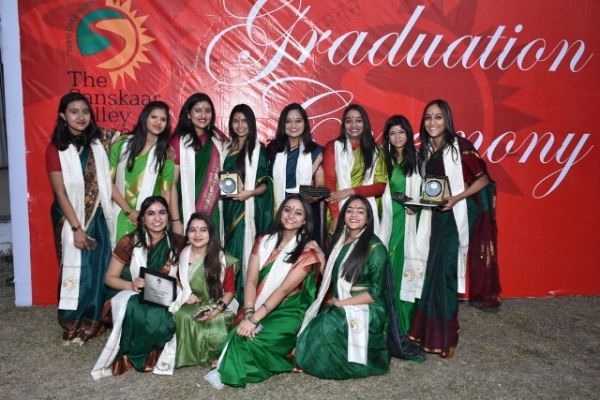 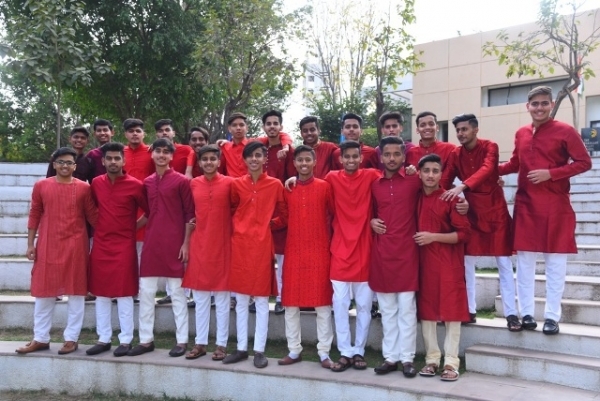 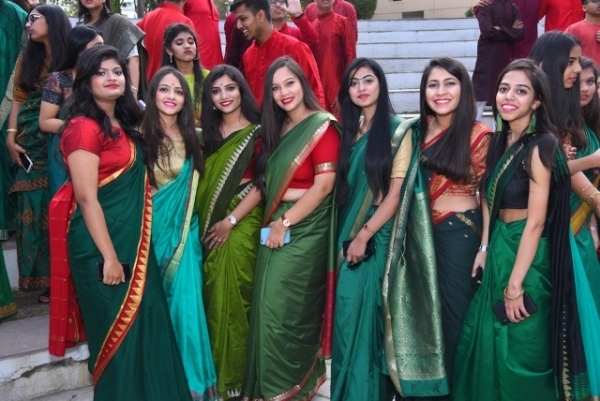 The Sanskaar Valley School witnessed on the 22nd of January 2019, the 8th Graduation Ceremony of 138 students of grade 12. 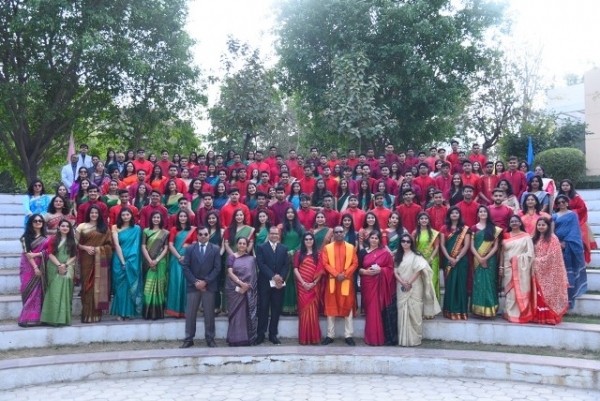 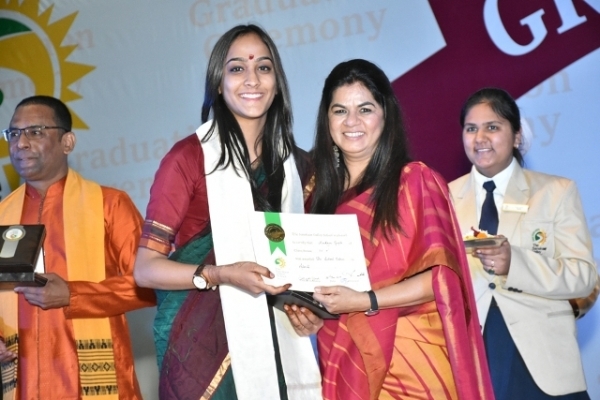 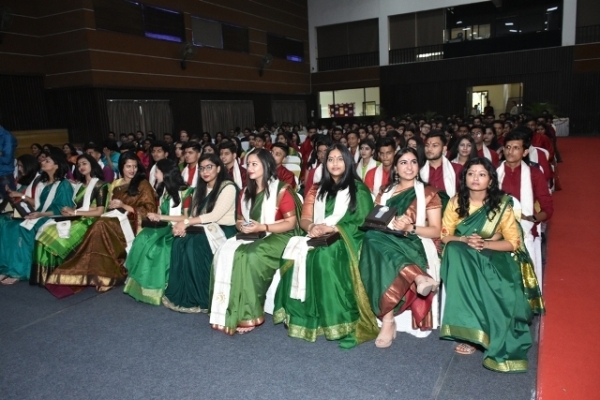 The simple yet solemn service was held in the presence of our Director, Mrs. Jyoti Agrawal, the Senior Management Team along with the teachers, the student fraternity and the proud parents of the outgoing batch of 2019. 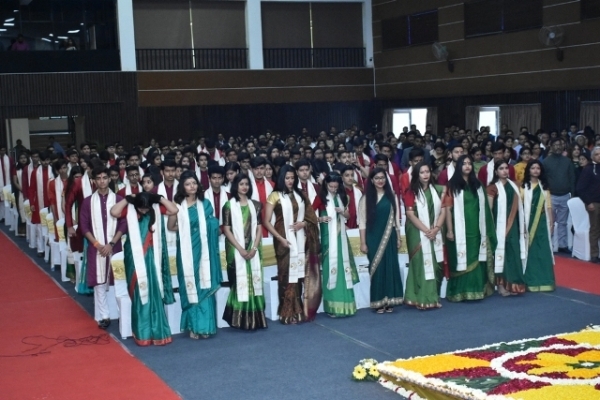 The ceremony continued with the Director and the Principal, Dr. Amlan Saha giving away the Angavastram and mementoes to the outgoing batch. 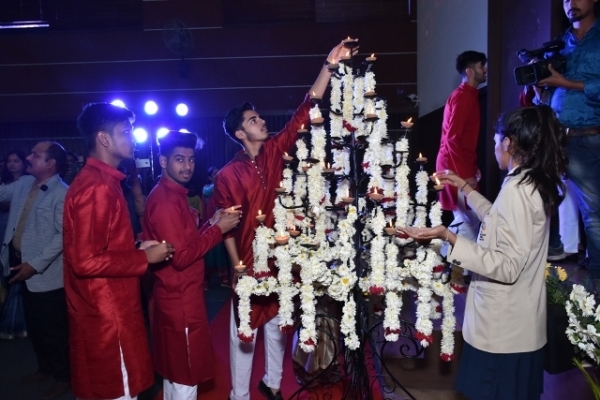 This simple ceremony will always remain etched in the minds of all those who witnessed it. 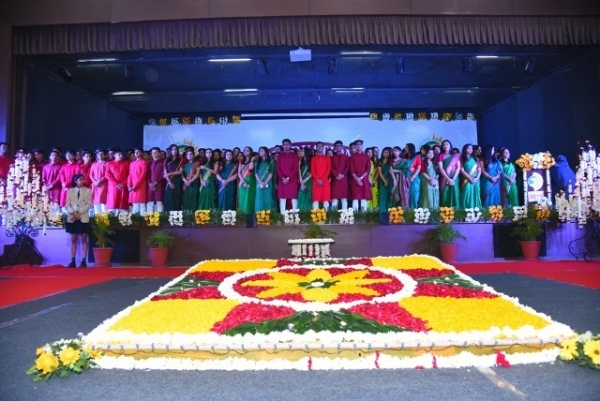 It was indeed a memorable evening full of various emotions experienced by everyone present. 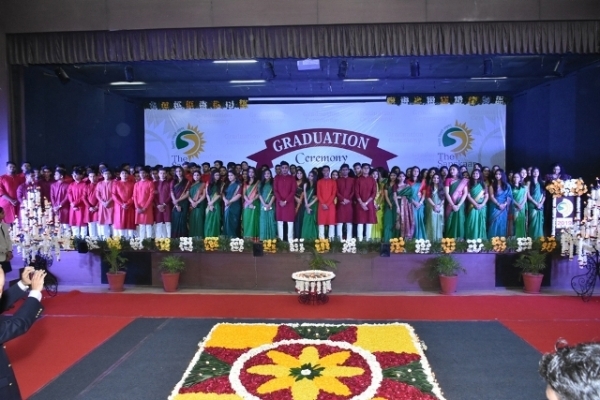 The students were both happy and nostalgic on realizing the fact that this was indeed the end to a very significant part of their lives and they now had to step out into a big, wide world that held their future. 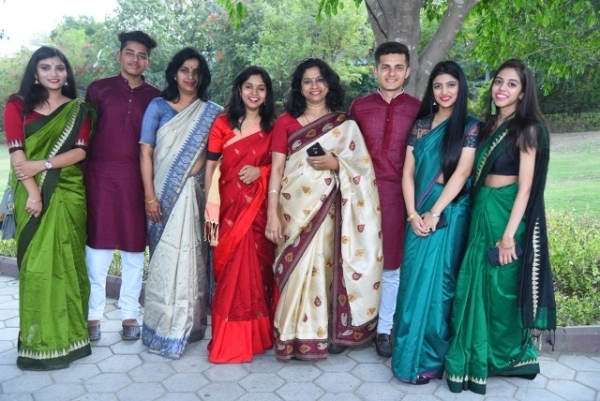 The parents on the other hand could be seen to be emotional and at the same time proud to see their children grown up, young adults, all ready to face the world and make a significant place for themselves. 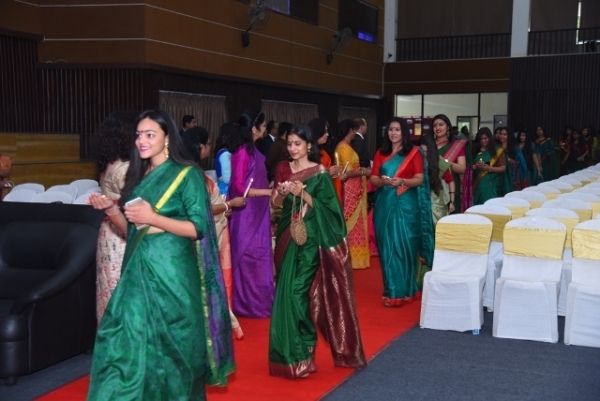 The evening came to an end with the singing of the national Anthem. 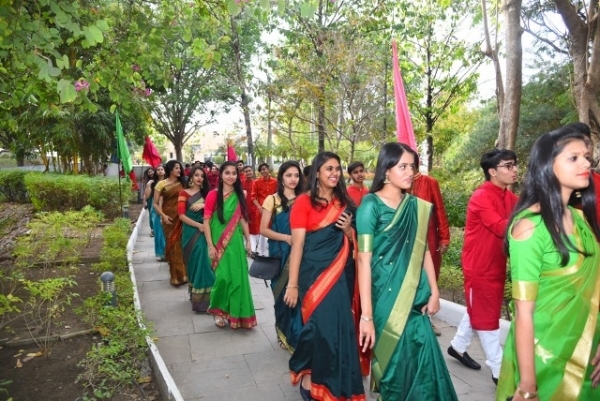 The gathering then soon proceeded for the High Tea that was laid out for the esteemed guests on the Umang lawns. 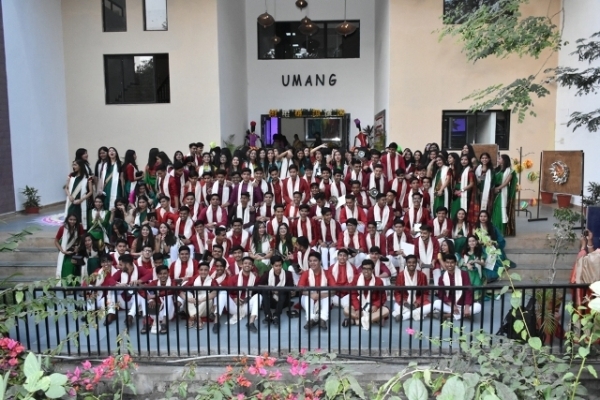 Like every year this was another memorable event that will go down the history of the Sanskaar Valley which will hold a special place not only for the batch of 2019 but also for those who made their journey in the institution one of fun and learning.